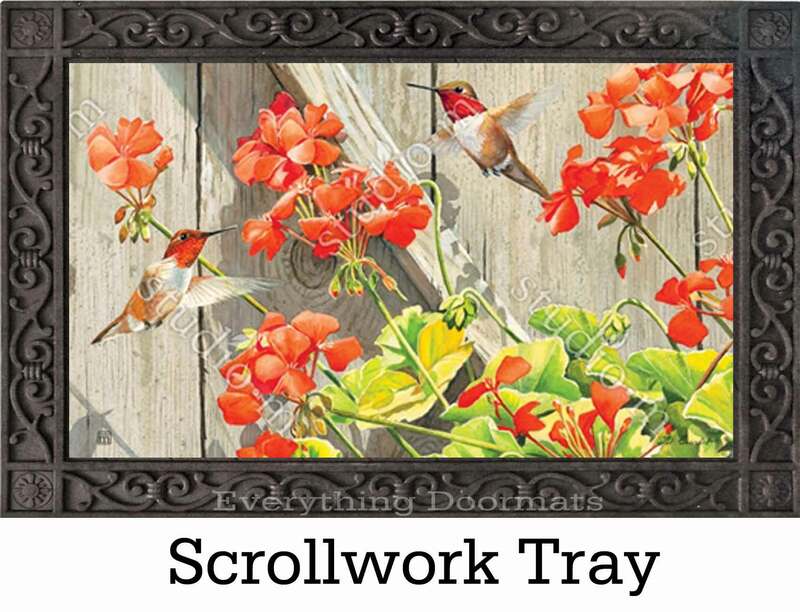 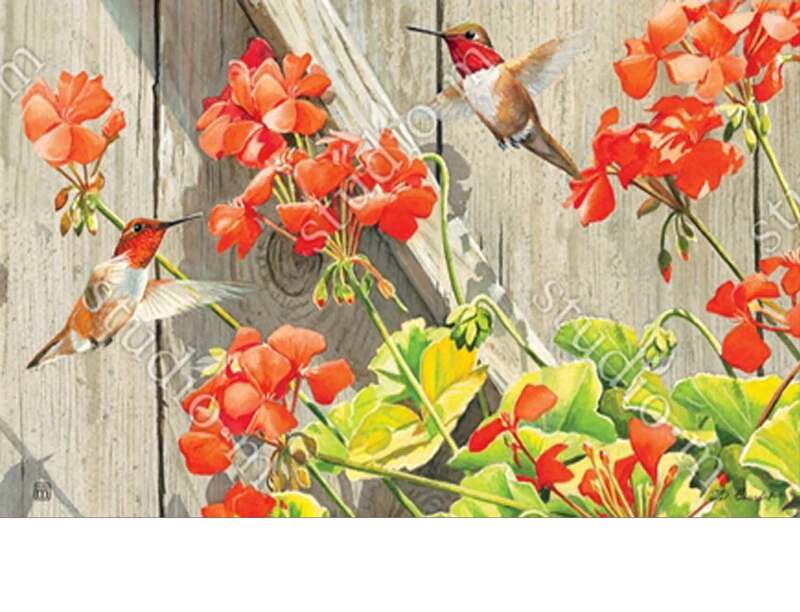 The beautiful colors and unique design of this Hummingbirds with Geraniums MatMate doormat would make a great addition to your home. 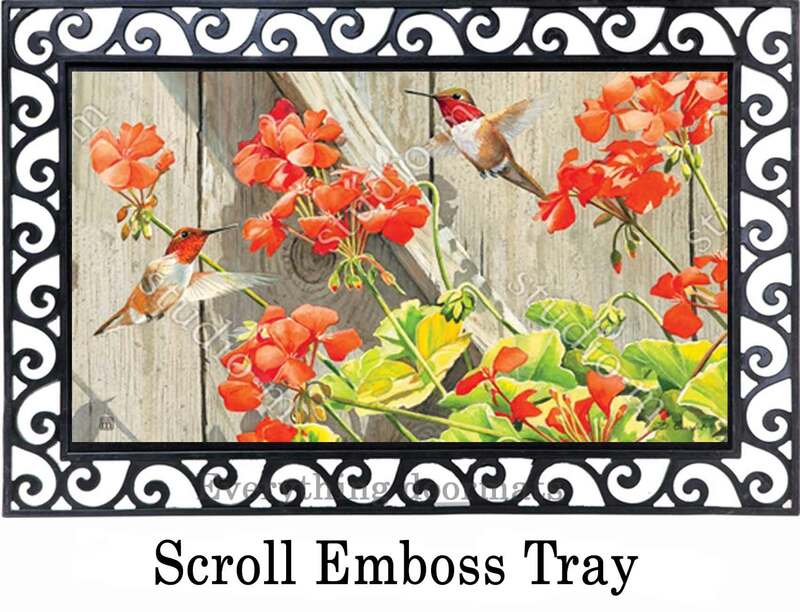 You can greet your visitors at the front door and make a classy upscale statement to your front porch with our outdoor tray. 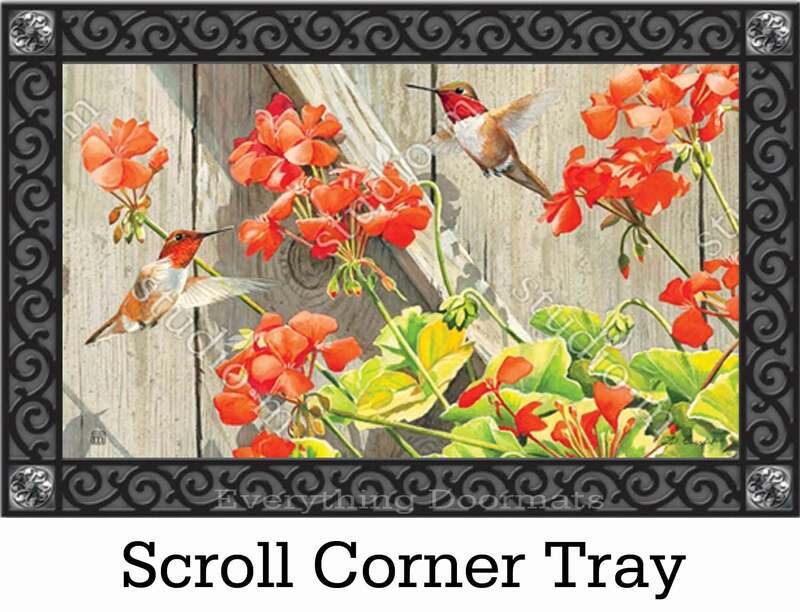 Since this mat was created to be used indoors or outdoors, you can display yours in front of the kitchen sink with one of our indoor tray. 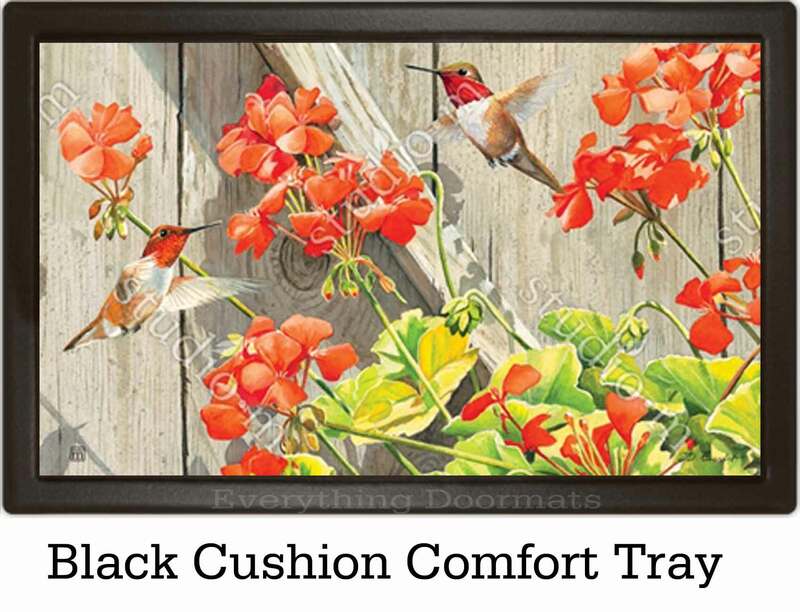 The indoor trays are great for easing stress on knees and joints during long standing periods. 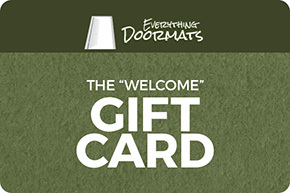 The exquisite color makes your mat fit for any environment. 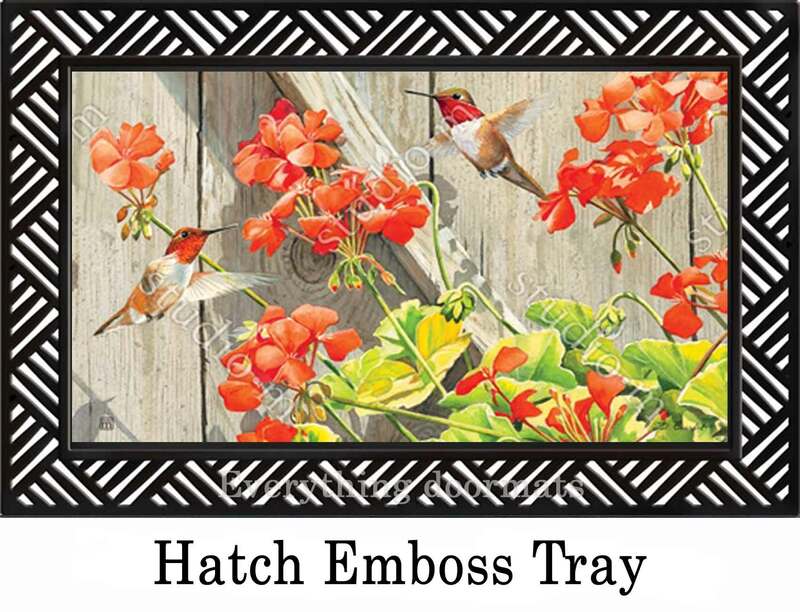 This Ruby Red Hummer insert doormat is 17.5" x 29.5" x 3/16" when used as a stand-alone mat and has a matching garden flag & house flag that can be added to your order as separate items using the Doormat or Flag drop down menu above.